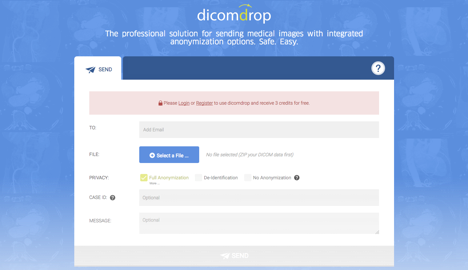 Share your medical images (DICOM) from A to B with automated de-identification and anonymization options. Easy. Fast. Safe. The leading provider of online solutions to share clinical data and medical images (DICOM).